As a consumer of wine, I can’t help but think that a 94-point Pinot Noir is just about as arbitrary. Professional wine tasters have a system, and they apply that system to derive that score. But their palate is not mine, and when you consider how many wines they taste each day — and what all that does to their teeth, gums and oral hygiene — as well as the sterilized context of their experience … well, it becomes harder and harder to put any faith in mass tastings or the point system. However, there is a real need to assess and evaluate wine. 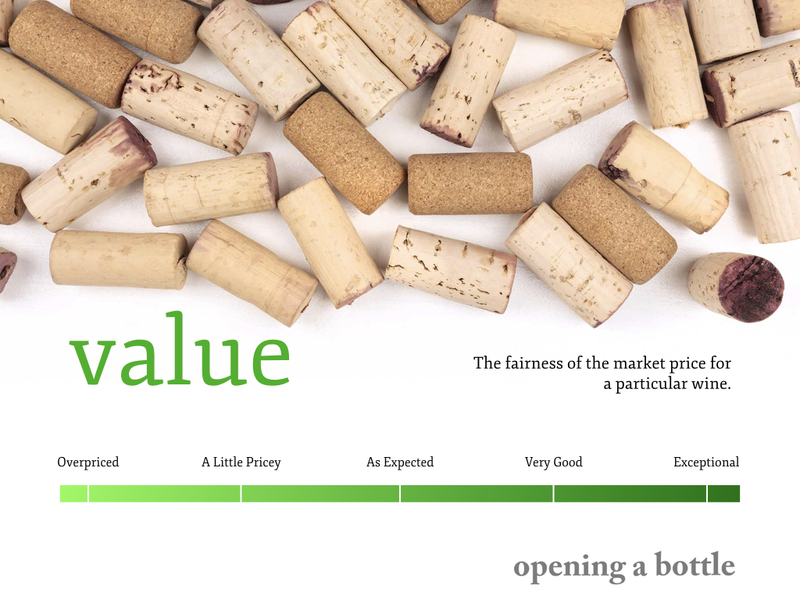 This page will tell you how I rate wine, and what attributes I value in a wine. That said, a single glass can reveal quite a bit about a wine’s potential. Plus, when I visit wineries, its unrealistic to review every wine they offer by the bottle with food. 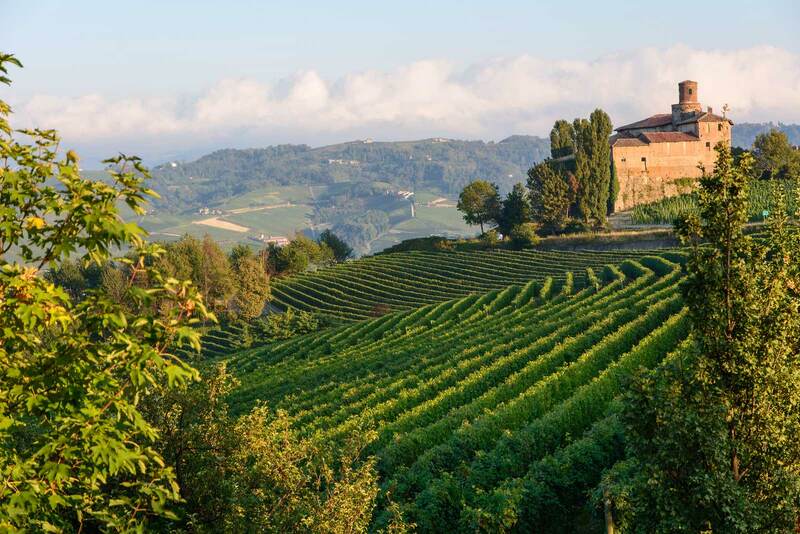 Tasting notes: When your family name is Brezza (bray-tsuh) and you are winemakers in the Langhe, you kind of have to make Freisa (fray-zuh), right? This wine is as fun to drink as it is to say. The nose is seriously sharp and powerful, conveying a swirl of aromas that reminded me of sour strawberries, peppercorns, fennel and frankincense. 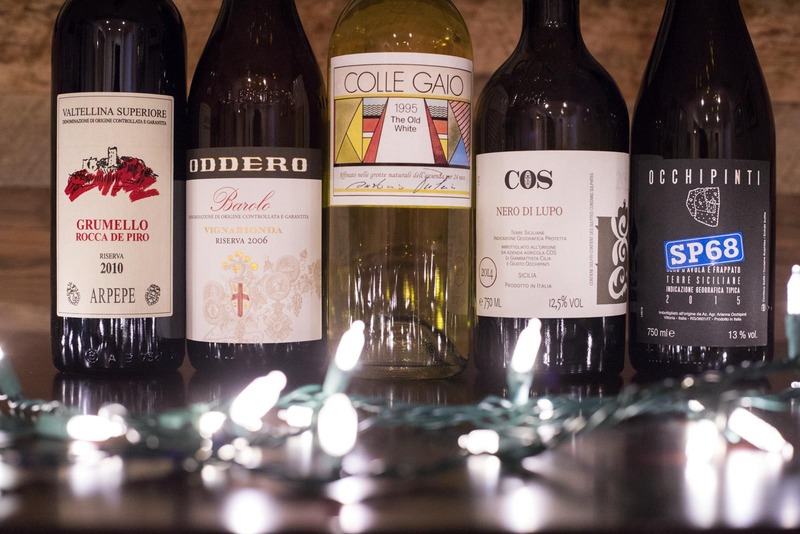 On the palate, its bracing acidity and stern tannins seem to melt away as it shows that amazing tension you often find with Italian wines, and only Italian wines: Am I sweet? Am I sour? Am I bitter? I’m all of the above, and I’m delicious. Have another sip. This wine is a wild ride. 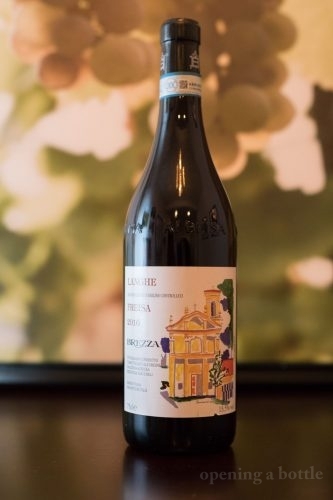 Suggested for: The Brezza Langhe Freisa is a little reductive at first and needs some air to open up and calm-the-heck-down. But once it does, serve it with a lamb burger slathered in aioli and mint. I know, that’s weirdly specific, but that’s what I did and it was an off-the-charts pairing. Furthermore, I prefer a rating system that is tier-based, meaning all wines rated five stars are equals, rather than splitting hairs between 96 and 97 points. This allows for some fluctuation within repeat tastings of the same wine. The following scale is how I assess wines. 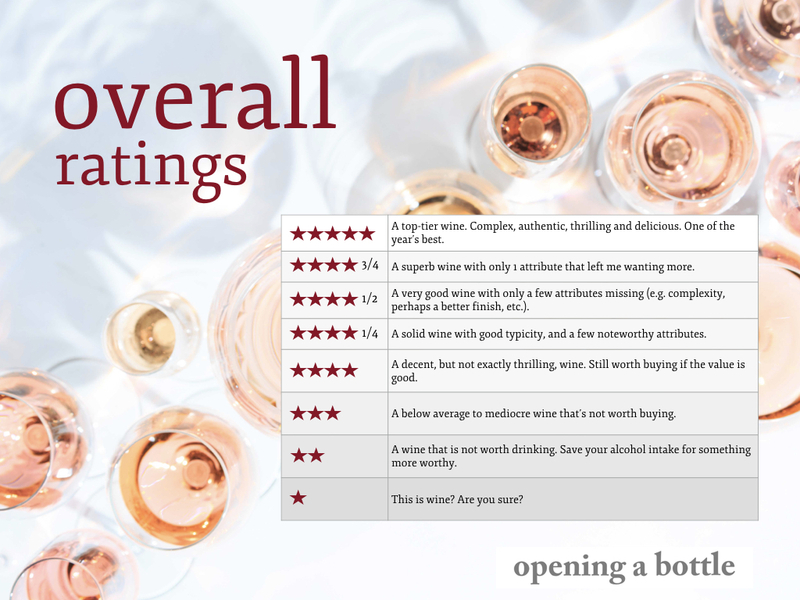 Most wines rated below four stars do not get written about on Opening a Bottle. On any given week, I might evaluate an aged Nebbiolo that has been decanted for a few hours, a mid-range New World Pinot Noir, a budget Riesling and an indie Gamay from a biodynamic producer in Beaujolais. I do not evaluate these blind. I evaluate them like someone who has spent their money on wine and they want to enjoy it with the meal they cooked at home. I go into it with some expectation, just like you. (Note: I do not buy all of my wines. To save on cost for this self-funded website, I frequently accept samples from distributors, importers, consortiums and marketers. Read about my sample policy here). Let’s start with the intangible quality of being remembered. 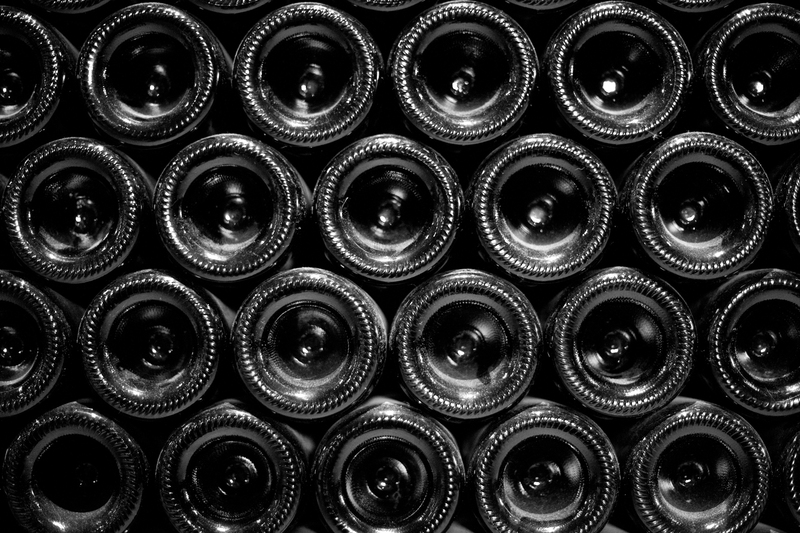 Top-tier wines leave an impression, often for months, even years. One of the harshest words you can use to describe a wine is anonymous, but I review plenty of anonymous tasting wines each year. They often don’t get coverage on this site because of it. Ahh, the wine word that isn’t even a word, and yet we use it in the wine world because there is no better way of saying it. Typicity has to do with how much a wine represents its origin or its grape variety (or varieties). It has to do with a sense of identity. Here, I have to adjust my expectations accordingly because typicity means something different in the New World (usually focused on grape) than it does in the Old World (usually focused on origin). Then, I have to factor in uniqueness — how far the grape strays from the typical. A wine could be very typical and be very boring (Conversely, a wine that is a exactly as you expect it, can be the most satisfying wine). A wine can also be very unique, but utterly confusing or distasteful (And conversely, its idiosyncrasies can make it delightfully memorable). In all situations, what I am really looking for is whether the wine presents something fresh and evocative while preserving a sense of typicity. For example, a Nebbiolo that reveals soft and sweet tannins in youth, or a New World Pinot Noir that is full and bold yet somehow minty. Versatility in a wine — it’s ability to partner with several different styles of food — should be celebrated. For one reason, it makes your wine shopping easier. Many find pairing wine with food to be an intimidating topic, and if you have a wine that you know is versatile, you don’t have to sweat it so much. 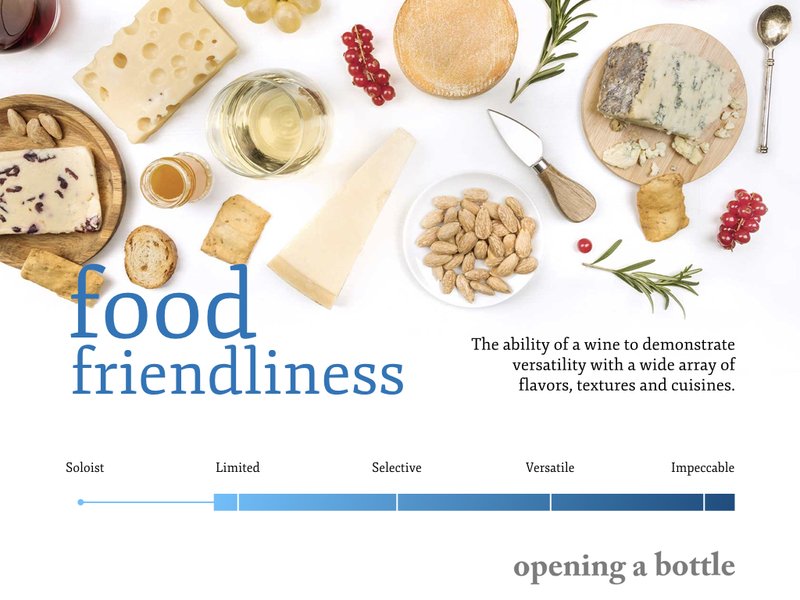 But more importantly, excellent wines take on different moods and expressions with different foods. They are like actors in this way: the bad ones are typecast, the best ones can inhabit any supporting or leading role they are offered. Beginning in June 2018, my long-form reviews have a single descriptor for food friendliness, giving my the ability to just tell it like it is. Finally, we come to value. Is the wine undervalued, as expected or overpriced? This is the easiest assessment of all of them, but it is worth noting. A $100 Bordeaux that shows well and could offer an incredible experience 20 years later may very well be a “very good” buy. A $15 Pinot Noir that tastes like cola and finishes like sandpaper isn’t worth buying in any universe, so yes, I would list it as “overpriced.” I usually don’t cover overpriced wines on this website. With this altering of the reviews, I have decided to leave archived reviews as they were. If you come across these — with four sets of star rankings — here is what they used to mean. What this means to me: This rating dives into the complexity of aromas and flavors, the texture of the wine (I hate the phrase “mouthfeel”), and how long it lingers. I also like to factor in how typical the wine is of its origins: e.g. a Beaujolais wine that evokes Beaujolais, a new take on an old classic, a specific wine for a specific moment, etc. How I rate it: I focus on intrigue. Does each sip invite another one? Are its complexities harmonious or just confusing? Is an empty bottle of this wine a sad sight? Wines that score high here are worth buying again and drinking several times over. What this means to me: The ability of a wine to make food better, and the humility of the wine to be better with food. I rarely drink a bottle of wine without cooking something to go along with it (or vice versa). Master Sommelier and author Richard Betts notes that “wine is a grocery,” and I try to stay true to that outlook. How I rate it: I focus on versatility. The higher the number of stars (out of 5) the more likely it will work well with lots of different foods. That’s not to say any Riesling (whose food-friendliness is famous) gets a five. The wine needs to have characteristics that are only exposed when served with food to get a high rating. What this means to me: Someone once pointed out to me “when you think of the labor and overhead that goes into making wine, it is amazing its not more expensive.” That’s a good point, but I don’t care if a wine is made on the moon. The cost has to be justified by the experience. How I rate it: Simple: was it worth it? A five-star value is a head-scratcher: “why aren’t they charging twice that for this wine? They certainly could.” A three-star value indicates a wine that meets my expectations on cost vs. quality. Below three stars, and it is considered overpriced. But I don’t write about wines that aren’t worth buying at all. What this means to me: The overall score is not an average of the other three elements. It is merely an independent, gut-level assessment on how the wine stacks up. How I rate it: A five-star wine is one for the ages. A three-star wine is good, but I probably won’t buy it again. You will only occasionally see me write about wines ranked lower than three overall stars on Opening a Bottle, in which case, they will be profiled only because my opinion differs from wine-press consensus or it compelled me to discover something about wine that I didn’t yet know. 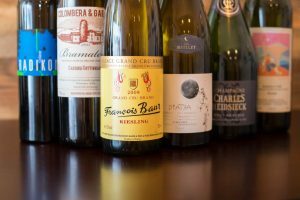 Rating a wine is not seriously an easy task, only the expert can rate a wine perfectly because of multiple factors is considering while reviewing a wine. This is so nice of you for sharing a lot of meaningful information with us. I too find a week geek on youtube channel #WineTerroir who is reviewing wine and share his technical reviews and these are very honest.